GLAM Craft Show 2018 — Sunday, Dec. 2 — apply now! Calling all artists, makers, and crafters! We are now accepting applications for the 10th edition of GLAM Craft Show, which will be held at First Magnitude Brewery on Sunday, Dec. 2 from 10am to 5pm. We favor vendors who make unique, handmade, giftable items that are fresh and unexpected, or even edgy and quirky. Vendors who make items for guys, kids, and pets are especially encouraged to apply. Competition for jewelry and bath/body makers is especially intense, given the number of applications we receive in those categories. Like last year, we have several different options for vendors — an 8′ x 3′ table space in the warehouse, an 8′ x 3′ table space in the beer garden, or a 10′ x 10′ booth space either in the beer garden or in the gravel parking lot (BYOT — bring your own tent). We always receive more applicants than we have room to accept. Because of this, we can’t guarantee that admitted vendors will receive their first choice spots, but we will do our best to find a suitable spot. This year we are partnering with a local start-up company called Sift Local to manage our application process. 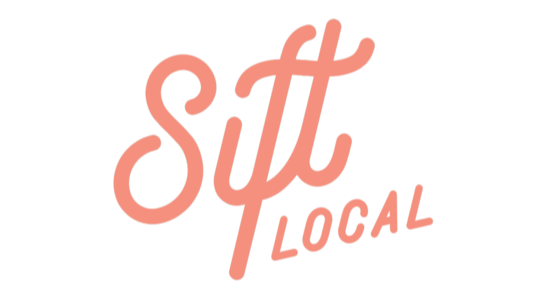 The Sift Local platform was designed specifically for artists and makers and is already gaining traction in the maker community, so be sure to check it out. Deadline to apply is Sunday, Sept. 30 at 11:59 p.m. EST. For more information or to apply, visit our website at http://glamcraftshow.com/apply. Hope to see you there! Previous PostPrevious Save the date for our TENTH show!